When you read a blog about saving money, you already possess the most important aspect needed, proper mindset. Financial awareness is a key component in saving money over the long term. It’s very easy to think that saving a dollar here or there is no big deal. For instance, I always use those credit cards which give me the highest return on every purchase. I have an American Express Blue Cash Preferred card that gives 6% cashback at the grocery and I will use it every single time. My wife on the other hand will go to the grocery store and just grab any card available. Her rationale is that if she is only spending $20, that card would only save $1.20 so it’s no big deal. However, every trip to the gas station, grocery store, or other retail establishment offers a chance to save. The way I see it is that if I’m going to be making the purchase either way, why not put it on a credit card that will reward me for that purchase? Why use cash when I can pay with a credit card and get an instant discount a discount that comes after I shop for the best prices and use cashback portals! The biggest problem for many of us comes from trying to save significant amounts of money by purchasing things we otherwise do not need. The “Extreme Couponing” craze is one such example of this as those people who follow these methods clip every coupon every week. If I can buy a can of beets for 10 cents each why not do it? Because nobody likes beets, they’re garbage, they taste gross and you just wasted your money! This is the opposite of not using your discount when the amounts are small. You use the discount on items that are deeply discounted, but do they offer a value to you? If you were some kind of masochist with a beet addiction 100 cans of beets is a fantastic deal and likely saved you about $100, but if you are a normal human being then you probably would have been better off burning the $10 you spent. This phenomenon is not only present in the extreme couponing circuit. In fact, every trip to Target provides an opportunity for those demons lurking on the endcaps to claw at your soul. As you walk the perimeter of the store you see the red homing beacon that are the red clearance stickers. They sing to you from the cream colored shelves like Sirens in the Tyrrhenian Sea. Powerless over the possibility of saving tremendous amounts of money you are pulled into their orbit. Assuming you are not currently reading this while at Target, let’s speak rationally about these fine deals. Clearance items are only a deal if these are things you would normally buy anyway. If you have been looking for a bedding set, and had decided on one that was $300 and you find one on clearance for $50 this is a superb deal. By contrast if you are walking down the aisle and see 80% off a camo beer coozy that says , “My neck may be red, but I’m well read” don’t buy it. Actually, you’re probably getting this ironically, you can go ahead and get that. The point is that these items that are “only a dollar” really tend to add up over the course of the year. In fact these can add up far faster than the “only a dollar” rewards my wife loses when she fails to use the right credit card. It’s far too easy to base your savings off the MSRP rather than what you truly value an item to be worth. 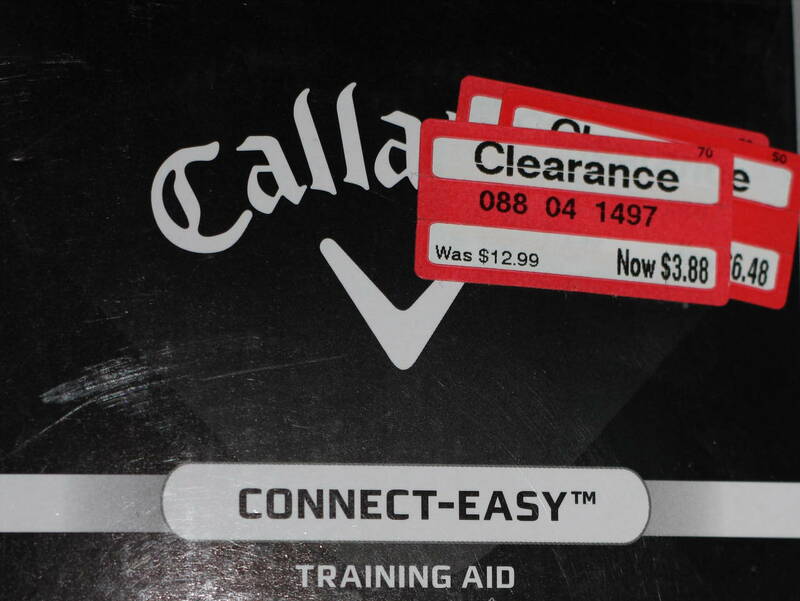 A better exercise would be to look at these clearance items and ask, “Do I need it? Do I really want it? Would I buy it anyway? What is it worth to me?”. So if you walk past the endcap and sunscreen is on sale at 75% off go ahead and pick some up because you probably need it and if you don’t buy it now you will buy some day. If you walk past the aisle and there is something you have always wanted, but price has kept you from buying it then I think this is a fair purchase. The Suze Ormans of the world would disagree and advise you to only buy absolute necessities, fund your emergency savings, fully fund all retirement accounts and then with anything leftover spend money on your wants. My opinion on this is that sometimes you need to spend some money on the things you want. So if there is a lamp or shirt you think looks great buy it. The problem with these deep discounts is that we often go overboard on these clearance items. In the haze of getting a great deal we often make purchases of things that we do not need or even really want. As I am composing this my wife came in the door with 3 big bags from Target. She purchased an $18 lifejacket for $5.38, not a bad deal since our kids will need a lifejacket next year and if she did not make the purchase on clearance we would have paid closer to 20. However, she also purchased a rug which was on sale for $7.50, she wanted a rug, but I have a feeling that all things equal she never would have bought this style. My wife happened to be the person who peaked my interest on this topic. She said, “I used to never look for sales and just buy things I wanted. I think that I spent less back then than I do now.” Her hypothesis was that when you go into a store and do not look at prices (but have limited funds) you only purchase things you really want. Both of us have been guilty of going to Target and buying multiple items, especially clothing, which were on sale. When my beautiful wife last cleaned out her closet there were multiple items new with tags. Just as bad there were countless items that she wore only once. She is not the only one guilty of this either. I have gone into the store at certain times of the year and bought 5 pair of shorts, but only ended up wearing 3 of the pairs and only a couple times. Once it’s time to wear them again I’ve undoubtedly gained or lost weight making them useless. Rather than buying multiples of things you like a little, buying one thing that you really love can be a better deal. At the beginning of the summer I bought one pair of golf shorts for regular price, but only bought one pair. I wore these shorts a couple times per week all summer long. At the end of the year they were 50% off so naturally I bought 5 pairs! Yet I have worn each pair only once. One pair is still in my closet untagged. Basically I spent $20 and wore the shorts 30 times (60 cents per wear), but spent $50 on the discounted shorts and worn those only 5 times ($10 per wear). So even though my closet looks better with more choices, I’ve likely wasted money overall. Of course the best option would have been to buy only 1 or 2 pair on clearance and then wear them and I’m saving money. The problem with clearance deals is they usually don’t work like that. You end up overspending on things that you don’t need because you feel like you’re saving money. Unless we think about this consciously we are all subject to doing it. Which brings me to the question, does anyone want to buy a case of corn on the cob holders? Accidentally bought too many. Asking for a friend.